THREE MALES HAVE been arrested following a car chase during which two garda patrol cars were hit near the Castlebar area in Co Mayo. 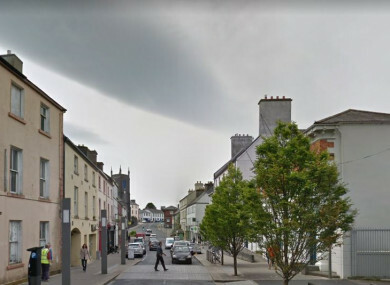 The chase began in the early hours of the morning, at around 3.30am, after a blue Skoda Octavia car was reported stolen at Horsepark in Castlebar. The car was seen by a Garda patrol car on Station Road. The Skoda car rammed the patrol car and then left in the direction of Ballyheane. In the village of Ballyheane, this car again rammed the garda car, causing extensive damage to the patrol car. At 4.30am, the stolen Skoda car was seen in the Ballintubber area by another Garda unit. This garda car was also rammed by the Skoda in the townland of Kilkerrin, Partry. A number of garda units, including an Armed Support Unit, attended the area in search of the Skoda. The Skoda was subsequently found crashed at Kilmaine Road. Three males, aged 23,20 and 16, believed to have been in the stolen car, were arrested at around 4.30am. They are currently detained at Castlebar Garda Station under the provisions of Section 4 of the Criminal Justice Act 1984. Two members of An Garda Síochána sustained injuries during the incident. Email “Three people arrested after numerous garda cars rammed in chase in Mayo”. Feedback on “Three people arrested after numerous garda cars rammed in chase in Mayo”.